What do you call the love child of a cabbage and a turnip? Quite simply, a cabbage turnip – and that’s exactly what kohlrabi means in German! Although kohlrabi was a favourite of peasants at the time of the Roman Empire, Charlemagne upped the vegetable’s humble status by featuring it in royal banquets – in fact he loved it so much that he had it planted throughout his imperial gardens. Since then, kohlrabi has found its way to Northern India, China, Israel, Africa and much of Western Europe where it remains a staple of local cuisines. Next time you find yourself at a farmer’s market, be sure to pick up one of these funny looking vegetables! It offers a delightful combination of familiar flavours: the crunchy texture of a radish and the sweet taste of a cabbage. 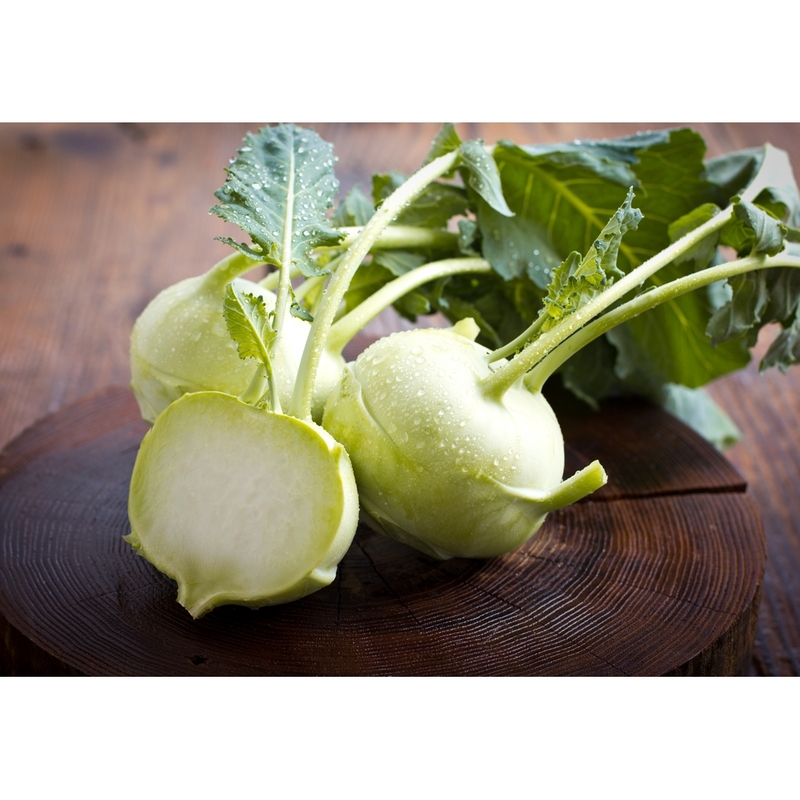 Young kohlrabi can be enjoyed both raw and cooked – our favourite application? Kohlrabi coleslaw ! A summer cocktail you'll love.